Fewer things can generate more controversy and disagreement than discussions about food and nutrition. It often seems that people will never reach any kind of consensus on what we should and shouldn't eat. But there may actually be a few exceptions to this. Here are 10 nutrition facts that everyone actually agrees on — well, perhaps almost everyone. 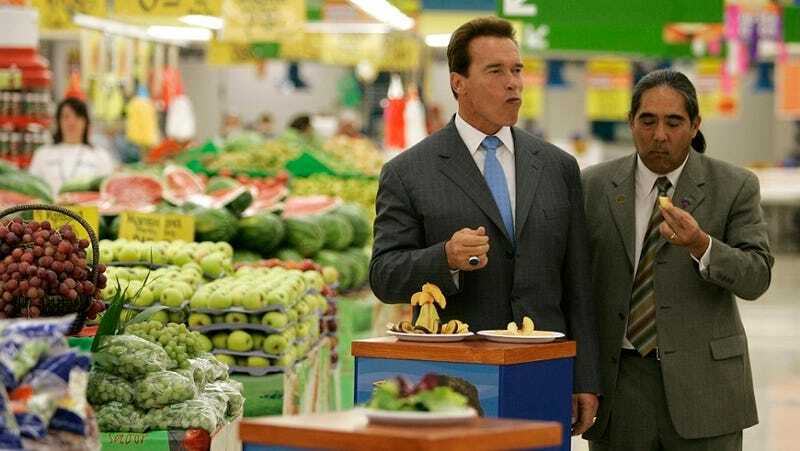 Top image: Arnold Schwarzenegger poses with fruits, via Associated Press. How does fructose do this? Well, fructose is metabolized strictly by the liver over time, causing non-alcoholic fatty liver disease, insulin resistance, elevated triglycerides, abdominal obesity and high cholesterol (4, 5, 6, 7, 8, 9). Fructose also makes our brains resistant to a hormone called leptin, which effectively makes our brains want to get fat (10, 11, 12). This way, eating an excess of added sugars sets up a relentless biochemical drive in the brain to keep eating sugar, getting fatter and eating even more sugar. For example, DHA, an Omega-3 fatty acid derived from animals, makes up about 40% of the polyunsaturated fats in the brain (13). Being deficient in Omega-3 (very common) is associated with a lower IQ, depression, various mental disorders, heart disease and many other serious diseases (14). There are three main sources of Omega-3 fats: ALA (from plants mostly), DHA and EPA (from animals). The plant form, ALA, needs to get transformed into DHA or EPA in order to function correctly in the human body. There is some evidence that this conversion process is ineffective in humans (15). Trans fats raise the bad cholesterol and lower the good cholesterol, cause abdominal obesity, inflammation and insulin resistance (16, 17, 18). In the long term, consumption of trans fats raises the risk of obesity, diabetes, heart disease, Alzheimer’s, depression and many more diseases (19, 20, 21, 22, 23). They are rich in vitamins, minerals, fiber, antioxidants and an endless variety of trace nutrients that science has just begun to uncover. In observational studies, eating vegetables is associated with improved health and a lower risk of disease (24, 25, 26). I personally don’t think that grains are necessary at all, the nutrients in them can be acquired from other healthier and more nutritious foods in greater amounts. But it is very clear that whole grains and unrefined carbohydrates are at least a lot better than their refined, processed counterparts (30, 31). Images: Aleksandar Mijatovic/Shutterstock; saurabhpbhoyar/Shutterstock; Tim UR/Shutterstock; George Dolgikh/Shutterstock; AnjelikaGr/Shutterstock.